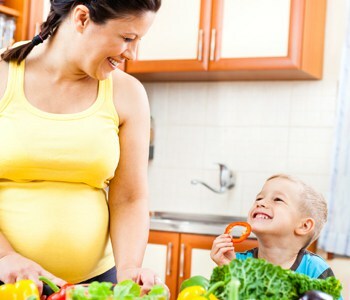 When you are pregnant, you are likely to experience uncomfortable bloating and gas. This is due to the hormone progesterone, which causes your gastrointestinal tract to relax and slow down digestion. Watch what you eat. Stay away from artificial sweeteners and foods that can cause gas, such as beans, cabbage, pears, apples, prunes, peaches, ice cream, cheese and carbonated drinks. few days, look for a pattern and plan your diet accordingly. Exercise. Sometimes it seems as though exercise is the solution for everything. When you start moving, the gas works its way out of your body so you no longer have a feeling of fullness. Slow down when you eat. When you eat too quickly, you swallow air which can contribute to gas and bloating. Drink lots of water. Water can flush out your system and prevent bloating and swelling. It is best to establish these practices early in your pregnancy. As your uterus grows, so does your propensity toward gas and bloating.